A VPN is not expected to be on the Oculus Quest. 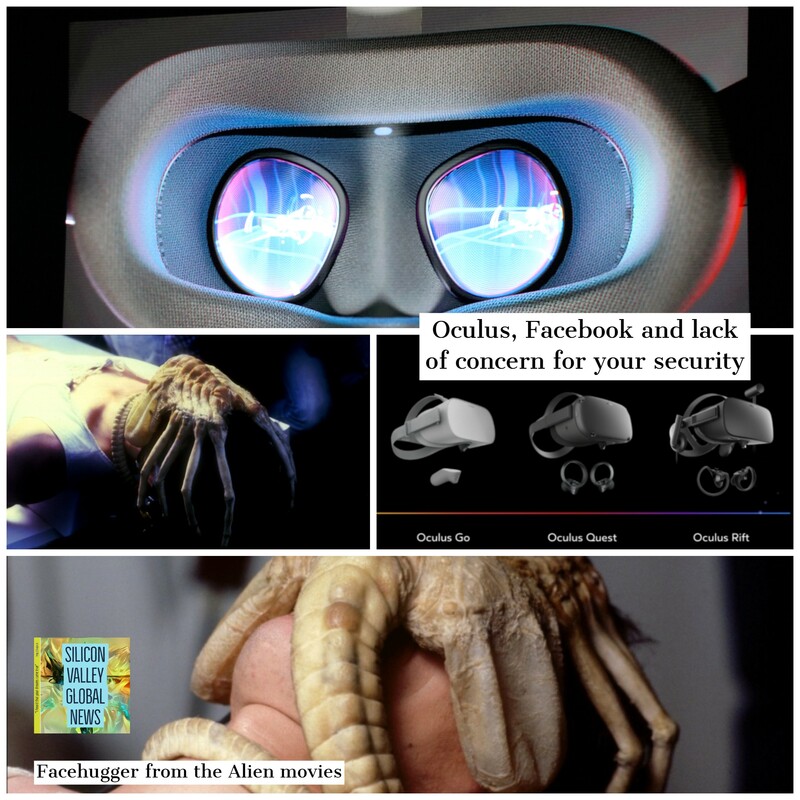 The US Congress may have some new questions to ask Facebook over security concerns exposed by new Virtual Reality devices which Facebook intends to ship to billions of users. The Oculus Quest, Facebook’s flagship product, is not expected to have a VPN or to care about your security at all. This may be deliberate judging by other news stories about Facebook. A VPN is not expected to be on the Oculus Quest because there is no VPN on the Oculus Go and Facebook’s attitude towards your security in general across the entire company can objectively only be described as malicious. This is not an opinion as you will see by reading the various news sources in this article. This is a fact and this is true across all Facebook products. Similar standalone products by the Lenovo Mirage Solo and Vive Focus plus by comparison do offer VPN or virtual private network. “Facebook has admitted it misled the public when it claimed that only 5 per cent of the users of its banned tracking app were teenagers. “The real figure, the Silicon Valley wunderkind has since confirmed to US Senator Mark Warner (D-VA), was nearly four times higher: 18 per cent. In all likelyhood it is Facebook’s intent to track the behavior of teens and children on their Oculus Quest product, only without Apple to stop them this time. On top of that Facebook lied about spying on teens. They lied about it. This proves that we can’t take Facebook at their word. On February 19th it was revealed that security researchers had managed to execute a man in the room hack against the popular Virtual Reality app called BigScreen. While this app and it’s underlying vulnerability in Unity has been patched, this should not be considered the end of security problems with Virtual Reality and Augmented Reality but only the beginning. “Bigscreen, which describes itself as a “virtual living room,” enables users to watch movies, collaborate on projects together and more. 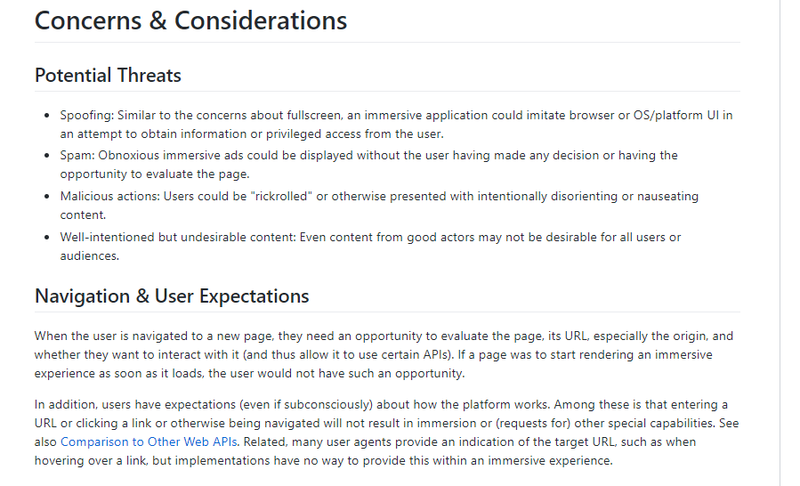 Spoofing: Similar to the concerns about fullscreen, an immersive application could imitate browser or OS/platform UI in an attempt to obtain information or privileged access from the user. Spam: Obnoxious immersive ads could be displayed without the user having made any decision or having the opportunity to evaluate the page. Malicious actions: Users could be “rickrolled” or otherwise presented with intentionally disorienting or nauseating content. Until recently Facebook allowed 74 cybercrime groups with 385,000 members to sell credit cards, passwords, and hacking services. Facebook is also under global suspicion for the slow response to removing a terrorist video content and only banishing terrorist content after that terrorist video was live streamed to it’s network. The fact that terrorists may have infiltrated Facebook to protect white nationalist terrorists is all the more reason why we should be concerned about Facebook’s lack of concern for our security with its products. The bottomline is that Facebook’s new Virtual Reality products may expose you to having your identity stolen, your privacy stolen, your security stolen, and based on all available facts Facebook does not seem to care, it seems to be on purpose.